Yes, starting a new blog and new travels. If you would like to be taken off the list to receive, let me know. January 6, 2019–As you know, I wrote many blog posts in the past as I was traveling. 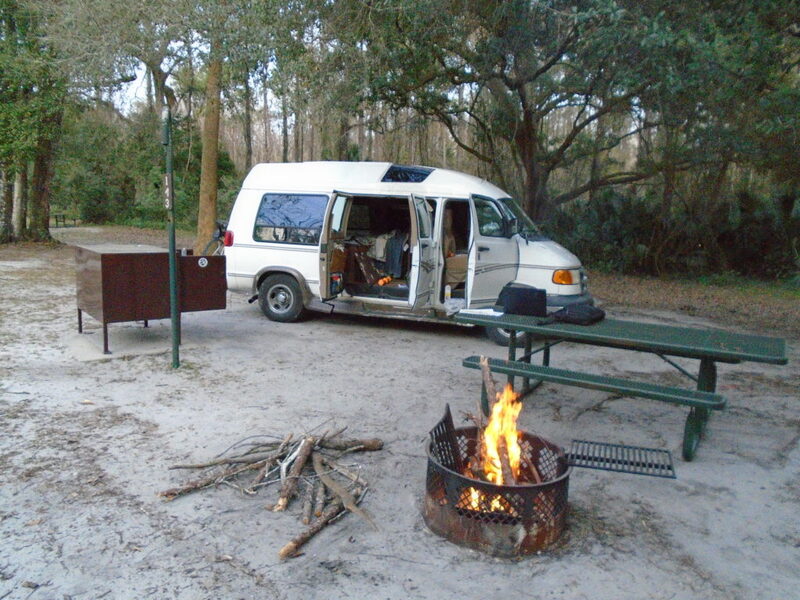 I have decided to get back to living and traveling in my van–I have missed it. Also, being so cold up where I am currently living, it is time to head south to warmth, to Florida. Also, this is due to a break-up with someone I was with for a number of years. I believe we still love each other, much, but she wants out. I cried off and on for days, yet, I am getting better now. The first day I went to see my daughter April, who is so wonderful. We talked much and I stayed the night on her couch in the warmth. You see, the temperature outside now at night is at about the freezing level, that is why I will be going south. Today I brought the van to Dave, who has been taking care of my vehicles for many years. The van is in top shape and running excellent. I will be showing you on a tour when I get down to Florida and my friend can film. Tomorrow I have an appointment to get some minor body work on the van done, the van looks sharp. I built the inside into a home–turned out fantastic. You will hear more about it down the road. On Thursday I have a dental appoint, then, after that, south I do. I am glad you will be coming with me. I’ve driven, round trip, back and forth across the US 25 times. Mostly, when I do, I just go from one place to another. This time I will be stopping more to see fantastic things and beautiful people. Also, I want to stop to do more running, and I have my bike with me. Mostly I want to stop at parks and work on my juggling. There is no reason I cannot improve. I have not dedicated myself to my juggling, time to get more of it back. Also, you know I love to go to national parks and wilderness areas–we will be going to many–you will love it. And, my camera will always be at the ready. As before, you will love what you see. I must say, it feels so good to be starting my blog again. I will tell you good stories and inspirational events. I like writing in a way that gets people excited, hoping you like. If you ever have ideas to improve my writing skills, please let me know. So, get ready for my weekly blog. But, it will be lonely out there, too. Please, let me hear from you, too. Feels so good to travel when I have no direction (well, toward Florida, along the coast, at first.) I might be passing near you I would love to see you. Last night was the first to sleep in the van. I found a place that was quiet and dark, just the way I like it. The temperature was about freezing. I awoke at 2am with cold feet. I normally awake between 2 and 3am, after laying down between 9 and 10pm, I get limited sleep. I learned from this and will prepare the knowledge for the cold sleep tonight. With 3 to 4 hours sleep a night, I function fine during the day. A McDonalds with within a mile away, they open at 5am, so right away I am on their free wifi and writing to you. I’ve included some photos from past tours, enjoy. As you know, I will be taking a slow drive down the east coast on the way to Florida. If you live within 100 miles along the way, I would love to stop by for a visit — Message me, please. SL along with me. If you are living on the east coast somewhere, let me know, I would love to stop by and see you.